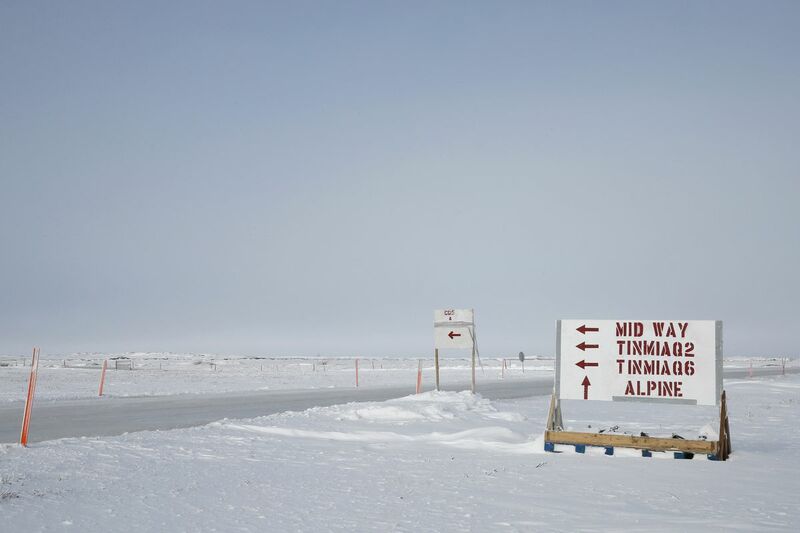 ConocoPhillips Alaska is planning its most ambitious exploration program in years, and the effort could provide more details about a newly promising North Slope play. The company plans to drill five exploration wells in early 2018. Three wells will help the company further analyze its large Willow prospect in the National Petroleum Reserve-Alaska, said Joe Marushack, president of ConocoPhillips Alaska, on Thursday night. That prospect could produce 100,000 barrels of oil daily, the company has said. Two other wells will be drilled near the Colville River, not far from where Armstrong Oil and Gas has heralded a large discovery it says could produce 120,000 barrels daily. Marushack said the plans, if completed, will represent the most exploration wells drilled per year by the company in 15 years. Marushack unveiled the proposal as keynote speaker at the annual meeting of the Alaska Support Industry Alliance, at a downtown Anchorage hotel. Alaska, mired in a recession brought on by low oil prices, had the nation's highest unemployment rate in August. The plans generated applause from the large crowd. Marushack did not provide an estimated cost for the drilling program. The company plans to use three exploration rigs to conduct the drilling. Each rig typically provides 100 direct jobs, and hundreds of indirect jobs ranging from equipment operators to ice-road construction, said Natalie Lowman, a company spokeswoman, on Friday. In 2002, ConocoPhillips drilled seven exploration wells in Alaska, Lowman said. The winter drilling season generally extends from January through April. The five wells would be drilled across a broad area, west of the giant Prudhoe Bay oil field in a region where ConocoPhillips has enjoyed better-than-expected success. One example there is the new CD5 field that produces up to 26,000 barrels daily, beating estimates by 10,000 barrels. "It's certainly coming on faster than we originally thought," and might contain more oil than originally expected, Marushack told a reporter after the speech. The field began producing oil in late 2015. This year, the field has nine of the 10 most productive oil wells in the state, Marushack told the group. Marushack cautioned that the company needs permitting approval for each exploration well it plans to drill. It also needs support from the village of Nuiqsut to drill one of the wells, he said. That well is often referred to as Putu, and is located on state land, in the existing Colville River field. "We have applied for permits for the four NPRA wells, but permits for Putu have not been filed," Lowman said. Late last year, after the announcements of big North Slope discoveries including Armstrong's, ConocoPhillips snatched up more than 500,000 acres in state and federal lease sales in Alaska. Marushack also warned that oil prices are expected to remain around $50 a barrel for a "long, long time," as oil from Lower 48 shale fields helps cap costs. The low prices further increase the need to control operational costs on the remote North Slope — and to keep Alaska's tax system stable so projects can advance, he said. Marushack said Alaska, whose Legislature has frequently altered its production-tax system, has one of the most unstable fiscal systems in ConocoPhillips' global portfolio.